The U.S. soldier convicted of murdering 16 Afghan villagers in 2012 had exhibited violence one month before the massacre and had at least one fellow soldier concerned about his erratic behavior, according to a report released Tuesday by the U.S. Central Command. According to the U.S. Forces-Afghanistan report on U.S. Army Staff Sgt. 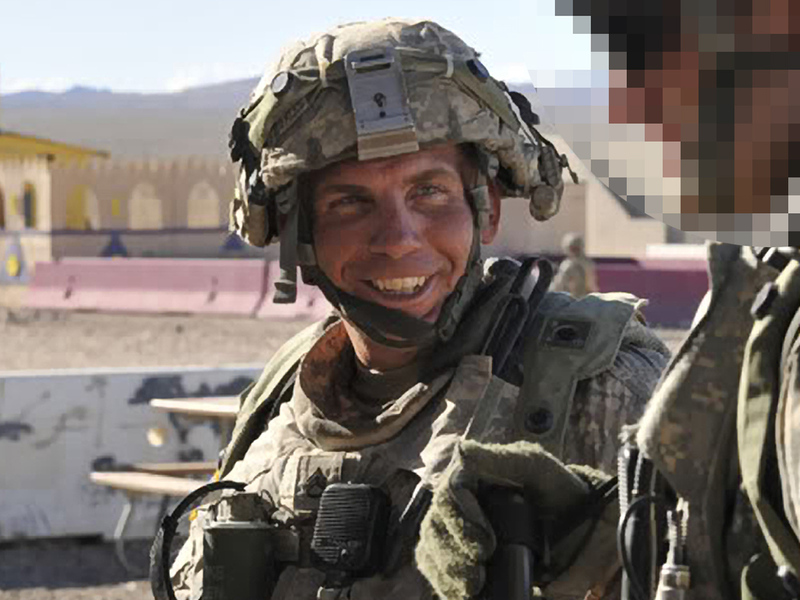 Robert Bales, the now-imprisoned officer punched and kneed an Afghan truck driver a month before he shot 22 people in Kandahar Province in 2012. In another incident, the report says, a fellow infantry non-commissioned officer was concerned about Bales' erratic behavior due to steroid use on a mission in late Feb 2012. Neither incident was reported to leaders at the base, the report said. Bales, an Ohio native and father of two from Lake Tapps, Washington state, shot 22 people in all, including 17 women and children, during pre-dawn raids on two villages in Kandahar Province in March 2012. The massacre prompted such angry protests that the U.S. temporarily halted combat operations, and it was three weeks before Army investigators could reach the crime scene. Bales is serving a life sentence. The newly released report also says that overall morale at the U.S. military base where Bales was stationed, Village Stability Platform Belambai, was high and the soldiers were well-trained. However, certain non-commissioned officers used alcohol and steroids, and some used racial and ethnic slurs when referring to Afghans. The report concludes that the command climate at the base suffered from low standards and discipline and some base leaders were either unaware or complicit in the inappropriate behavior. In a letter Bales wrote to the senior Army officer requesting that his life sentence be reduced, he said he had lost compassion for Iraqis and Afghans over the course of his four combat deployments. "My mind was consumed by war," Bales wrote late last year. "I planted war and hate for the better part of 10 years and harvested violence," he added. "After being in prison two years, I understand that what I thought was normal was the farthest thing from being normal." Bales pleaded guilty in a deal to avoid the death penalty, and he apologized in a statement at his sentencing in 2013. He described the perpetual rage he felt, his heavy drinking and reliance on sleeping pills, and his steroid use. He also said he couldn't explain what he did, a sentiment he repeated in the letter. In 2012, Bales' wife Kari told "CBS This Morning" that she had not asked her husband about what happened. "I just don't need to ask him," she said. "I know my husband, and it's not a question I really need to ask. I know him. I know what he's capable of and not capable of, so I don't need to ask the question." Bales said she spoke with her husband two days before the shooting and said nothing seemed out of the ordinary. "We just talked about our normal things, the kids, work, how he was holding up," she said. "We didn't - he didn't really say a lot about this, during this deployment on the telephone. Most of it was me doing the talking about what was going on at home in our lives at home so that's all he wants to hear is, 'How are you doing?'"